The art of Mizuhiki goes back to 7th century Japan the paper knotting was used to tie samurai hair. The paper craft brand OEY has taken that art and applied it to contemporary tableware. 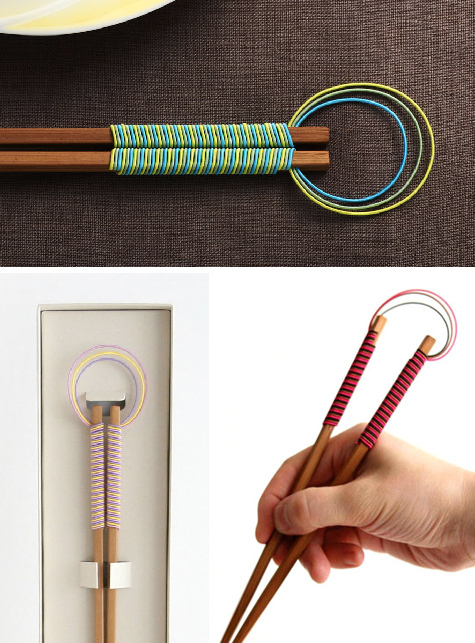 The intricately corded paper rings, chopsticks, and napkin holders come in an assortment of beautiful rich colors, each handmade from paper and silk.